Do you want to play blackjack, bingo, roulette and other casino games? Shop for deals at the Tanger Outlets at Foxwoods? Belly up to the buffet or dine at diverse casino restaurants? See your favorite artist in concert or laugh the night away at a comedy show at one of Foxwoods' fabulous entertainment venues? 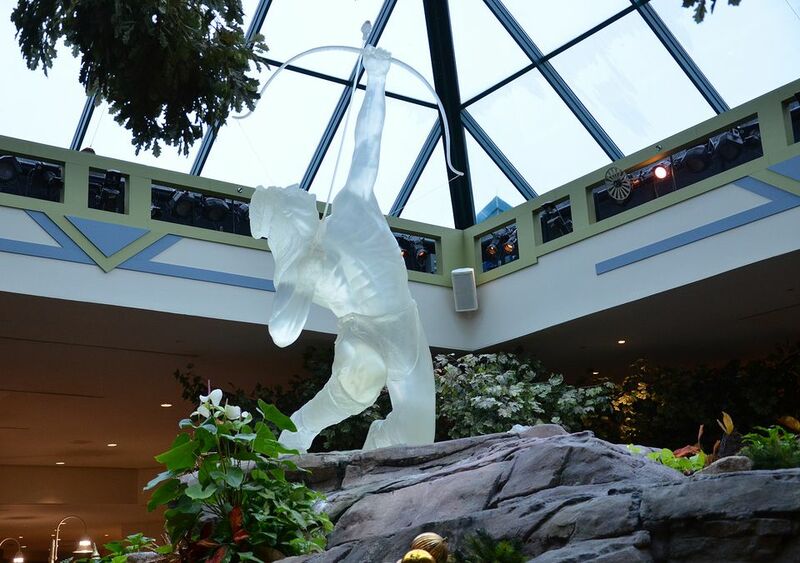 Foxwoods Resort Casino isn't just the largest casino in New England... it's one of the largest casinos in North America. I'll help you get to this 24-hour, non-stop entertainment destination. If you own a GPS unit or have a mapping app on your smartphone, navigating to Foxwoods is as easy as inputting the casino's address: 350 Trolley Line Boulevard, Mashantucket, CT 06338. The address for the Tanger Outlets at Foxwoods is: 455 Trolley Line Boulevard, Mashantucket, CT 06338. Free parking, both valet and self-park, is plentiful at Foxwoods. Foxwoods is easy to find from major highways in Connecticut, so give your GPS a rest and follow these driving directions if you are traveling to the casino by car. Follow I-95 North to Exit 92 in Connecticut. Turn left onto Route 2 West and continue eight miles to the Foxwoods Boulevard exit. Estimated driving time: 2 hours, 30 minutes. Follow I-95 South to Exit 92 in Connecticut. Go straight at the first light. At the next light, turn right onto Route 2 West and continue eight miles to the Foxwoods Boulevard exit. Estimated driving time: 1 hour, 45 minutes. Follow I-95 South to Exit 92 in Connecticut. Go straight at the first light. At the next light, turn right onto Route 2 West and continue eight miles to the Foxwoods Boulevard exit. Estimated driving time: 45 minutes. Follow I-84 East to Exit 55 for Route 2 East. Continue on Route 2 East 46 miles to Foxwoods, which is nine miles past Norwich. Watch for the exit for Foxwoods Boulevard on the right. Estimated driving time: 50 minutes. Follow I-90 East to Exit 4 for I-91 South toward Springfield, Massachusetts. Stay in the left lane to take Exit 30 for I-84 East. Take Exit 55 on the right for Route 2 East toward Norwich. Continue on Route 2 for 46 miles, watching for turns. Foxwoods Boulevard will be on your right. Estimated driving time: 2 hours, 40 minutes. Foxwoods offers RV parking (no hookups) in Lot B, which you can reach by turning onto Route 214 from Route 2. All RV/camper drivers must call the Foxwoods Security Department on arrival at 860-312–3333 to register and review policies. Need Car Service to Foxwoods?